1. having [and desiring!] the spirit of the Lord and his holy operation. 3. love of those who persecute, reprehend, and blame us. We had a lively and ridiculous grammatical discussion at supper the other day. 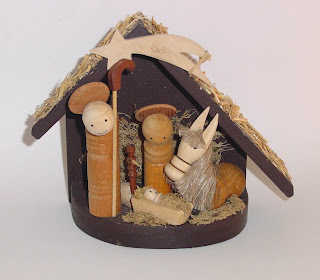 This time of year everyone needs a new Ordo. It's a little book that helps you to find your way through the Liturgy of the Hours and the Eucharist each day. In our case, it also details the interaction of the general Roman calendar with our special Franciscan one, which has its own saints. For priests, it also offers suggestions for the prayers to choose for Mass, when there are options, of course. Well, it turned out we needed two more than we had received. So our guardian was wondering how to ask for them. What is the plural? Is it Ordos, as we usually say in our sloppy speech? Or is it Ordoes, as our guardian opined, by analogy with potato? Well, I said, it's obviously the Latin word ordo, ordinis that's at issue here, and since this is not a word that has "arrived" in English, we should form the plural in Latin. But what is the use of ordo, ordinis in this case? Why is the book called the Ordo? The brothers assured me that it is short for Ordo Missae, "the order of Mass," but I don't buy this because the subtitle of the book is "The Order of Prayer in the Liturgy of the Hours and Celebration of the Eucharist." My conclusion is that Ordo is short for Ordo Recitandi, "the order of reciting." Ok, that's all I need to know: Ordo is a simple noun. Check out Under the Hood of a Capuchin Friar for a blogging glimpse into the life of Franciscan novitiate. Brother has a lot of pictures too! One of my general faults is that I'm not much for literature. Only very rarely can I get into fiction, and forget about poetry. That's why I was so surprised this morning when one of my own literary opinions was confirmed by a famous author. Today's newspapers hadn't made it to the breakfast table by the time I got there, so I started to look through yesterday's New York Times Sunday magazine. There I ran into a short interview with Umberto Eco. I was intrigued because he was asked about Dan Brown's The Da Vinci Code, which I found to be a kind of dumb version of Eco's Foucault's Pendulum. And that's just what he said, more or less, alleging (and what an insult!) that Brown was one the characters he created for Foucault's Pendulum. "So you created Dan Brown?" asked the interviewer. "Yes," was the answer. I found homily production especially difficult this week. The spiritual doctrine of Christ the King is so striking and sublime: the Lord, anointed and reigning from the Cross, unable even to move much less control the world, having emptied himself of everything it should mean to be God in order to give himself up for the life of the world. But how to package it in a way that is accessible and not overwhelming when we come to consider our own call as anointed Christians to do the very same thing? And then in Luke's account, which we read this year, we have the famous "good" and "bad" criminals. The former recognizes the irony of the cross: it is Jesus who suffers the condemnation that we have earned for ourselves. And yet he recognizes that this crucified God has the dominion and power to save: "remember me when you come into your kingdom." So I'm not sure if it will end up being what I offer tomorrow, but the homily I came up with so far is posted here. For just over fifteen years I had received the Eucharist and sacramental absolution regularly before I myself became a minister of these mysteries. Rarely did I doubt their effectiveness, and if I did it was because of my own poor spiritual disposition and not because I doubted the priesthood. I don't know if this is normal for a new priest, but sometimes a doubt creeps into my mind when I myself administer the sacraments. Yes, I have always believed in the transubstantiation of the sacrificed bread and wine over which the Great Thanksgiving has been pronounced, but does it "work" when plain old me does it? This is a good example of how spiritual doubt can help us to notice inadequate theological thinking. For it is not "my" priesthood that makes the sacraments happen, but the priesthood, first of all, of Jesus Christ himself. It is the priesthood of the Church as his Body extended through history. 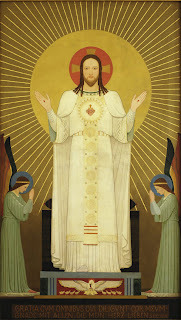 It is the priesthood of the whole people of God, baptized into Christ's eternal identity as Priest, Prophet, and King. It is the priesthood of all the priests who laid hands on me, and of those who did the same for them, all the way back to the Lord's own apostles. It's only in the smallest sense that it is my priesthood that effects the sacraments at which I preside with God's people. Again, it's like my formation director told me on my ordination day, "it's about the communion of saints. That's the only way this makes sense." 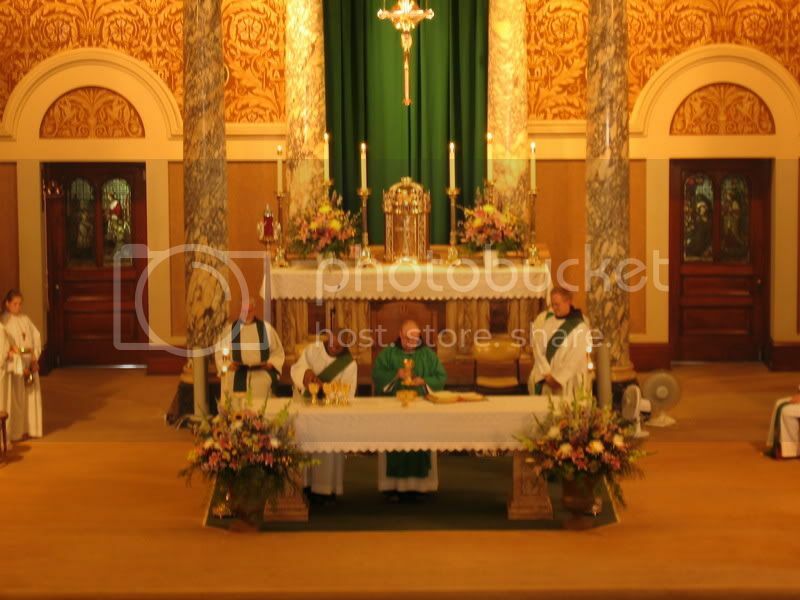 Yesterday I finally got back to the parish where I served as deacon to offer the customary Mass of Thanksgiving. For the regular coffee hour after Mass, the friends I had made there had prepared a cake. Instead of the standard candy flowers on top, it had a chalice and host. When I saw the little sugar host, complete with an IHS on it, I thought it was the funniest thing, and I made sure nobody ate it. I had it wrapped up and I took it home. The heart of God is like a blazing oven at the center of creation, and a love that longs to consume and fulfill all things. My homily for this weekend is posted here. The first is a moral equivalence that makes no ethical distinctions between different kinds of issues involving human life and dignity. The direct and intentional destruction of innocent human life from the moment of conception until natural death is always wrong and is not just one issue among many. 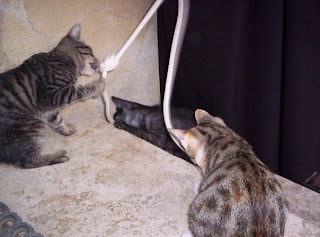 It must always be opposed. The second is the misuse of these necessary moral distinctions as a way of dismissing or ignoring other serious threats to human life and dignity. Racism and other unjust discrimination, the use of the death penalty, resorting to unjust war, the use of torture, war crimes, the failure to respond to those who are suffering from hunger or a lack of health care, or an unjust immigration policy are all serious moral issues that challenge our consciences and require us to act. These are not optional concerns which can be dismissed. Catholics are urged to seriously consider Church teaching on these issues. Although choices about how best to respond to these and other compelling threats to human life and dignity are matters for principled debate and decision, this does not make them optional concerns or permit Catholics to dismiss or ignore Church teaching on these important issues. Clearly not every Catholic can be actively involved in each of these concerns, but we need to support one another as our community of faith defends human life and dignity wherever it is threatened. We are not factions, but one family of faith fulfilling the mission of Jesus Christ. This is, of course, something very different than simply recommending flexibility. It is an exhortation to all of us to see the issues of life and our battle against the "culture of death" in the broadest possible scope, and not as an excuse to create factions among ourselves which are ultimately a countersign of the "seamless ethic" of which we are meant to be witnesses. Read the whole document for yourself here. I like to look ahead, to think "outside the box" as they tell us. Here's an example, my new plan for the church celebration of marriage. My idea is to model the celebration of marriage on the celebration of funerals. This is because funerals run like a well-oiled machine, while wedding planning and execution is full of pitfalls and potential tears and disaster. Here's how it goes: When a couple decides to get married, they are immediately taken to the "wedding home," modeled on the classic funeral home. There they are sat down in the front of a parlor where everyone can come and congratulate them. Their family and close friends also sit close by where they can be greeted and congratulated. This part is modeled on the wake, of course. "Ok," says the priest, "I'll see you guys in the morning." The next day--this all happens fast, so as to avoid any time to think up any problems--the happy bride and groom are strapped into a kind of float that can be driven to church and rolled up the aisle to the altar. This device, which I haven't exactly been able to envision yet, is analogous to the casket, of course. Being strapped in ensures that the bride will show up on time, for one thing, and also reduces the ability to make outrageous last minute demands. It also obviates the need for a rehearsal. Then the nuptial service or Mass can proceed according to the current ritual. At then end, the newly married couple is wheeled out of church, where they can be released for pictures, cocktail hour, and dinner. *This silly post is actually an imitation of this hilarious book by Smith. God, who made blessed bishop Albert combine human wisdom with divine faith, grant us who receive his doctrine, that we might, by the progress of science, come to a more profound knowledge and love of You. It's a good prayer for a world in which reason and science seem to be in competition with faith and religion. It asks to instead seek the divine wisdom which makes these complementary modes of human knowing. We must avoid the two cheap roads the world offers us in this quandary. On the one hand we must not become fundamentalists who ignore that the world was created through the Word of God, thus forgetting that the empirical knowledge of creation can yield divine wisdom. On the other hand, we must not embrace "intelligent design," which is a subtle way to sell out our faith and embrace empirical categories as the normative means of human knowing. This post is a big cheer for blogger, who have brought my homily blog, Praise and Bless, back from deletion. Thanks Blogger Team! It's where we're going, you know. My homily for this weekend is posted here. Today the liturgy celebrates the dedication of the Lateran basilica, the proper cathedral of Rome. I've visited twice, and both times I was struck by the statues of the apostles that line the main nave. These apostles are huge, strong, burly men. Their hands look like they would crush the skull of anyone they tried to ordain to follow them in the apostolic ministry. But for people who were less hampered by our modern denial of the spiritual, I suppose it was less dissonant to express the spiritual strength of the apostles by showing them as physically strong. The more I think about it, I believe that the problem isn't that people don't believe in God. The problem is that the notion of God they think they are supposed to assent to is unbelievable. And when you tell them that if they have some experience of love or truth, then they have a glimpse of what is meant by the utterance, "God." But those are "just ideas," they protest, by which they mean that they aren't real. Nevertheless, people routinely make life decisions based on their experience of love or truth, and that seems pretty real to me. This is what I mean by our hampering of our spiritual imagination. Two priests have been arrested here in the greater NYC area in recent weeks; one for the "forcible touching" of an undercover police officer at a highway rest area and another for stalking a celebrity. I don't think anyone can deny that there is something the matter with the culture of the Catholic clergy. The question is (and with which I struggle) is how to make a balanced and fair diagnosis so that we might find a strategy for reforming ourselves. I deleted my homilies blog by mistake. I'm doing my best to ask Blogger if it can be recovered, but I'm not too confident. So if doesn't come back I'll just take out all of the now broken links that are here. There might be a good side, though. We should have a real parish website coming out soon, and that will probably become my homily posting place. Our tabernacle here is quite grand. It has both an inner and outer door. On the inner door, quite appropriately, is an image of a lamb holding the banner of the Risen Lord. It's sitting on what I thought was a missal or sacramentary. Whenever I opened the tabernacle and saw this Risen Lamb sitting on top of a Roman Missal, I would be amused by the thought of the apotheosis of a liturgical book. But then I looked again. I noticed that this particular missal had seven ribbons. That's when I knew that it wasn't a missal at all, but the scroll of the seven seals from the book of Revelation--the scroll that only the Lamb can open. So now I find in this image a rich interplay of metaphor and symbol and catholic imagination, picturing the scroll of the seven seals so that it looks like a Roman Missal. Check out Perfect Joy, a blog by a brother of the SFO. He has a number of fine reflections that are very Franciscan by both content and orientation. Sometimes in ministry someone will come up to you and thank you for some word that touched them in a special or helpful way. Usually you have no recollection of saying any such thing, which is good, because it helps you to refer the grace to God and away from yourself. But it is encouraging to think that the Holy Spirit is making use of your speech to help someone hear about the grace God wants to give them. The poor man is perpetually anxious. That really stuck with me, and it reminds me that a true vow of poverty commits me to a life that will be anxious at times. And it also reminds me to be humble, because my anxiety is as nothing next to the struggles of those who are the real poor of this world. This morning I had the grade school children for Mass. People say that kids these days don't know their religion, but with a little help from good old catholic "analogical imagination" they seemed to know a lot. They knew that a community is a group of individuals connected by love or shared values or a common project. They could produce examples of such communities, like a family, a village, a city, or a church. From there it's only one step to say that the revealed divine Love that we know in Jesus Christ is so pervasive and passionate that it makes one community out of both the living and the dead. Sometimes things that are long expected don't become real for me until some particular but otherwise mundane moment. I spent over a year in the candidacy and application process for the Order, but it wasn't until the day I sold my car that my entrance into religious life was suddenly really going to happen. Well today, like every week, the Sunday bulletins arrived in the parish office. And there on the front I saw the change: "Rev." had been added to my name. I've been looking forward to this for a long time, but now, when it's only a week away, it's real: I'm going to be a priest. Today I am fifteen years old. It seems like so long ago, that Saturday afternoon when I was baptized, and I can hardly imagine what I was thinking or what my sense of what was going on might have been at that time. It's a funny thing. In some ways time gives me more clarity about my conversion to Christianity. In other ways, whatever it was that happened to me becomes more cloudy and obscure. The more time that goes by, the further back I have to start the conversion story. When I was first baptized, the story I told myself (and others) only went back a couple of years. Later I was able to see how God was working going back five or six years. Now I can trace it back almost to pre-school. On the other hand, when people ask me how it was I came to be a Catholic Christian, I'm often at a loss to give a satisfying or simple answer. It's somewhat mysterious to me, and has become increasingly so over time. I guess all of this is the sometimes wonderful and sometimes searingly confusing dynamic of trying to be a prayerful person. We grow more confident in our faith in the faithfulness of God, but at the same time place ourselves in a kind of vertigo of mystery that is sometimes quite disorienting and even frightening. This place is a madhouse. At Pio’s tomb you can hardly pray because of the racket of people firing coins at the sarcophagus. Just walking around I think I’ve blessed more stuff in this afternoon than in the rest of my whole previous clerical career. Rosaries, pictures, bracelets, and even an infant of Prague big enough to be a toddler—in French, as best I could—for a couple from Lille. The new church is very “modern.” The lower level is like a circular maze in which everyone is lost looking for the confessionals or the Blessed Sacrament. I’m as lost as they are, so I’m more than useless when everyone asks me for directions. Just put on a Capuchin habit, and not only will everyone think you know your way around, but that you speak their own proper language, whether it be Italian, French, German, or Polish. But, with all of the noise and confusion of this place, I remember how Jesus told us that a tree is known by its fruits. And what fruits can be seen here? Everywhere there are people praying and streaming to confession, all in shadow of the hospitals that carry on Pio’s works of mercy. Today we had our official tour of the basilica of St. Francis, though most of us had already explored it on our own. It was good to have a solid introduction, though, so we could know what to look for. Afterwards, having heard from some the brothers that there is a friendly, English speaking confessor, I try to go to confession. Of course, I don’t get him. I get the impatient Italian who insists that I don’t wait for someone else. He doesn’t speak Spanish or English, and I don’t speak Italian. Nevertheless, he prods me to get going. Not knowing what do to, I confess in a combination of Latin and Spanish. The priest gets a little annoyed. Nevertheless, I’m grateful. It’s a chance to believe in the presence of grace in even the most awkward human moments, given our right hope and good intention. We arrived here late this afternoon for a one-day, two-night moment of recollection. Sitting here after supper it feels like the first moment of peace and quiet since the beginning of the trip. Here in the original house of our Capuchin reform, it’s like the religious life of the movies. It’s a stone building with a gravel road, tiny cells, and a little church with a cloistered choir on the side. At supper, jolly, bearded friars—ourselves, the frati Americani, included—sit around the perimeter of the refectory while novices run around frantically in their effort to bring us wine, cheese, salami, fruit, and grappa, all of it homemade. In my mind I keep comparing this place to the novitiate in Honduras. They are similar in a lot of ways. The horarium is almost exactly the same. The novices are a lot chattier, though. And fatter. They are always blabbing amongst themselves, and occasionally even break into song—all spiritual, though, or at least as far as I heard. This morning I couldn’t bring myself to shave. Somehow it felt like it would be sacrilegious for a Capuchin to shave in Camerino. To write, “here lies nothing.” It’s so ironic—to say that something you are looking at is nothing. But this is one of central ironies of the Christian life: to be alive, but baptized into the death of Christ, and to be dead in sin, but alive in Christ. St. Justin Martyr’s relics are here. Pray for us St. Justin, especially for Capuchin students. We have Mass here on the altar of St. Felix of Cantalice. What a grace to make the connection between the body of Christ offered in the Mass—and which we receive and become—and the resting body of our own St. Felix. The body of Christ, past, present, and to come. At the same time, buses full of the curious come to see our famous bone yard, remarking on one expression of our belief in the Resurrection that has now become quaint and macabre by the world’s standards. Update: This post gets a lot of search engine traffic, so I'm adding this link to the friars' own site about the crypt chapels. But to really believe this, individualists that we are, that God teaches and saves and sanctifies through community, fraternity, through a people of God—that’s the challenge. I’ve been on pilgrimage before, and I’ve even been a pilgrim in a group. But to go on pilgrimage as a group, as brothers—that’s the grace of this opportunity. The brothers are all here. Some I know well, others only a little. Two of them I have never met before. 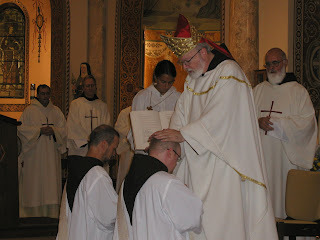 Go ahead and check out Friar Matt, a brother of the OFM Conv., who are, after all, the original Friars Minor. Thanks be to God I'm safely back from pilgrimage! It was really a wonderful time--good brothers, good directors, places of such grace. One of my special finds was the religious articles wholesaler in Assisi, where I bought (among other things) a bunch of Francis and Clare medals. They're small, round medals, about 3/4 inch in diameter, with Francis on one side and Clare on the other. I blessed them in prayer before the San Damiano crucifix, which famously spoke to Francis and which remained in Clare's monastery throughout her life. If you would like one, send me an email. This bit of teaching has always fascinated me, and I guess I've always given it a psychological interpretation. If we begin (or begin again!) to pursue the interior life seriously, there is often a little euphoria as we try to let go of sins and negative patterns. But if we keep at it, we will soon uncover the more awful demons that we were previously medicating ourselves against. I'm always fascinated by the inter-relation between the inner and outer person. On the one hand, I've often known people whose circumstances are dire, or whose bodies are falling apart, but who have robust and fruitful spirits. On the other hand, if I need to get a fresh start with prayer, it always helps to clean my room first. One of the brothers showed up the other day with a great piece of advice. Instead of delegating tasks, he said, concentrate on delegating anxiety. In other words, if something is someone else's problem, let them worry about it. Old friend Don has had some good posts on mindfulness and living in the present moment these past few days, and they have helped me to think about the Gospel for today, in which the Lord teaches us that where our treasure is, so will our heart be. For me it's a good examination of conscience for mindfulness to ask myself where my heart is at some point in the day. What are my preoccupations that day? Where do my thoughts seem to drift automatically? How charged are the feelings that follow upon the thoughts? By doing this, I can figure out where my treasure is, and whether it's with the Lord and his work, or with something else. with the spirit of penance. follow his example of penance. The prayer admits that we are not yet saints, but that we hope for it. Yesterday morning I went over the parish grade school to try to drum up some altar servers for the summer months. It's the last few days of school, and the kids were all full of joy and anticipation. Rightly or wrongly, they see before them nothing but empty time and freedom from care and toil. They long to be freed from all the constraints of the classroom. I know it's a little morbid, perhaps, but when I left I was thinking about how the children's anticipation of the last day of school would be a beautiful model for how to make the final journey to death. To see nothing before you but peace and freedom and the eternal Silence in which God speaks his one Word. This line came up twice in the liturgy yesterday, for the feast of St. Anthony. Insight is certainly important in the spiritual life, but we can't count on it. The Light of God is so brilliant that we often experience it only as darkness. In prayer we are purified even of our ideas of God, sometimes coming out feeling as if we understand less than before. This is all against those folks who say that religion is something we use to feel better, at best an exercise in unjustified optimism and at worst, an "opiate of the masses." Anyone who has given themselves to prayer and the obscurity of faith in a real way knows that it leads to its own anguish and struggles. Today is the feast of St. Anthony, either of Lisbon, if you go by birth, or of Padua, if by birth to eternal life. Greetings from brother Francis to brother Anthony, my bishop. It pleases me that you teach sacred theology to the brothers, so long as, amidst this study, you do not extinguish the spirit of prayer and devotion, as contained in the rule. For a couple of nice feast of St. Anthony posts, check our Chiara and Frater. Aware of the thrust towards renewal permeating the whole Church, as children of their time and according to the sensibilities of that epoch, the first Capuchins made Saint Francis alive. They did this in conformity with their vocation. They had no fear or dread in living and proposing what Francis himself had lived. 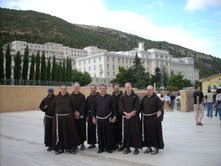 We should pay particular attention to the fact that those Capuchin friars were animated by a strong desire for reform: they wanted to make something striking and decisive of their lives. They had a clear objective and chose the means of reaching it, wishing to live in conformity with the ideal Saint Francis had lived and bequeathed. There is so much in this paragraph that speaks to what hooked me into this vocation. To react against those who look at radical choices with "fear or dread." To desire to make something "striking or decisive" out of life, for the sake of the reformation of the world. Perhaps a lot of these desires were worldly or vain for me at the beginning, but grace builds on nature, thank God. When St. Barnabas met the believers in Antioch, he "saw the grace of God," as the Acts of the Apostles describes it today. It makes me reflect on what I "see" in the people around me. Do I see their faults and the ways that they make things difficult? Do I see what they can get done or how they can be useful to my purposes? Or do I notice the grace of God in them? Do I see what God has worked in them, perhaps in their faith, their faithfulness, or the love and gentleness that God has put in their hearts? And so I try to remember that I am free, with the help of the Spirit, to choose a perspective: to pay attention to the negative, or, like Barnabas, to "see the grace of God." Dismiss the crowd so that they can go to the surrounding villages and farms and find lodging and provisions; for we are in a deserted place here. So many times it's easy to feel like our prayer life or our efforts to follow the Lord are a "deserted place," but as soon as we allow the Lord to take, bless, break and give the little we do have, we allow ourselves to be transformed by grace. One's day off is an institution with the parish clergy, as well it should be. Monday is the traditional choice, as with pizza makers, because of the intensity of the weekend. Today was my day off, so I decided to take a long walk and explore the town. I found two things that made me happy: White Castle, and a neighboring Catholic church that was open during the day. I love to sit for a few minutes in a downtown church when nothing is going on. I think it's because it speaks to me as an image of God: dark, quiet, peaceful, and cavernous. And yet somehow these are synthesized and served up as an obscure sense of welcome that is both striking and mystical. One of the brothers I know is visiting our friars in Africa. We have many indigenous vocations there, but the brothers certainly participate in the terrible crosses that the African continent is suffering in our time. Our brother recently wrote to us here at home. He told one story about trying to help a frail, 96 year old friar. Our North American brother described how he was feeling bad about the imperfection of his Swahili and ability to communicate. But the old friar gestured toward the courtyard of the friary, at the sky and sun, as if that was all that needed to be said. And you bring the light by him. And he is beautiful and radiant with great splendor. Of you Most High, he bears a likeness. One of my first activities as part of the parish staff here was an end-of-year thank-you trip for the altar servers. We went to Medieval Times, a kind of cross between dinner theater and the circus. You eat in barbaric fashion without utensils and are entertained by horse tricks, knightly combats, and a general atmosphere of ludicrous anachronism: "Would you like more Pepsi, my Lord?" Ever worked in a Castle? Thought about wearing a costume to work? Or are you looking for an exciting employment opportunity in a unique and fun environment? No thanks, that sounds just like the job I have already. Last night I was talking with a young man who works in the construction of tall buildings, building service elevators and scaffolding. He said he was afraid of heights. "How do you do your job?" I asked. "I just don't look down. It's worked so far!" he said. Later on I was thinking about how it's good advice for the spiritual life. The first step in avoiding our sins and little selfishnesses and our bad "tapes" and poor patterns of thinking is to concentrate our intention--our spiritual gaze--on the grace of God. If we "don't look down" into our occasions of sin or into our habitual spiritual pitfalls in the first place, then we will be less likely to be intimidated by them.